The Unitarian Universalist Church is a community staple in Ft. Myers, Florida. Equipped with a vast eco-preserve, nature trail, and more, the 12.5-acre property provides members of the church with a serene location to relax and reflect. However, the church was still relying on the DX systems that were installed when the church was initially built, and they were having a challenging time maintaining the temperature and humidity levels in the main gathering hall known as the sanctuary. 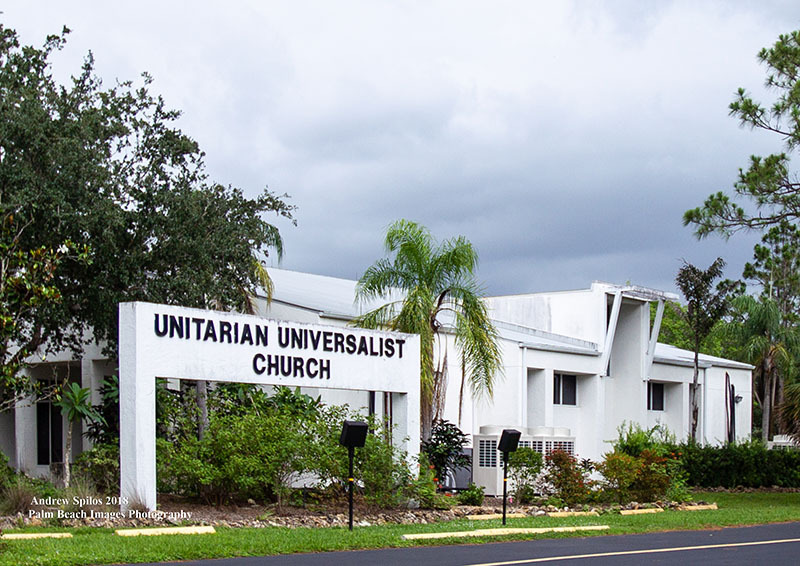 The Unitarian Universalist Church stands on a vast property in Ft. Myers, Florida, and includes multiple buildings and areas for church members to gather, learn, and socialize. While the classrooms, eco-preserve, and administrative buildings are frequently used, it is the sanctuary that holds the most people at once, which means at times it could be the most challenging and critical building to heat and cool. When the Unitarian Universalist Church evaluated their energy usage, they realized that the sanctuary building was using the most energy out of all of the buildings on their campus, eventhough it was the least used. Because of the architecture and configuration of rows of pews, the space caused a challenge to maintain a comfortable temperature. As such, they needed an HVAC solution that would allow them to provide better energy efficient, meet the challenging architecture and facility configurations and monitor both temperature and humidity levels, while allowing the church to monitor all HVAC functions remotely. The Unitarian Universalist Church contacted Modern Services to inquire about replacing their outdated DX systems. After understanding the church’s concerns and needs, Modern Services—in conjunction with CE Florida VRF Dealer Development Specialist, Sam Farrar, confidently recommended Carrier VRF systems to solve the presented challenges. They knew it would be able to easily maintain the desired temperature in the vast open space found within the sanctuary, and they knew that it could integrate with the NEST thermostats to give the church the flexibility to monitor their HVAC usage remotely. They installed a 46-ton VRF system comprised of twin 8-ton air handles and several small vertical air handlers. With the Carrier VRF systems up and running, the church is thrilled with the results. They can hold large gatherings without having to worry about the building getting too hot, and they can easily control humidity inside even during the extreme warm summer months. Furthermore, the church loves that they can have complete control over their system from their smartphones, and they are thrilled with how much their energy usage has gone down.